I often find it difficult to read a play in book form. However, the gripping drama of Elizabeth Clark-Stern’s ‘On the Doorstep of the Castle’ comes across in a vivid and powerful way in this intense book. The meeting between the two, Teresa the real figure, and Alma, based on the Jewish philosopher Edith Stein, who converted to Christianity, yet exterminated in Auschwitz, movingly and deeply reflect the meeting of the Soul’s Voices. Nearly every paragraph brings a different turn in their encounter, whether the Jew in the Christian and the Christian in the Jew, the feminine faces of the God-image, the teacher in the disciple, as well as the various aspects of exile and return. Both figures in the play are captivating. Alma, so splendidly conjured up in the author’s mind, is a merger between Edith Stein and a fictional descendant of Moshe de Leon, author of the Zohar (the Book of Splendor), the central treatise of the Kabbalah. As the author points out, Alma is ‘soul’ in Spanish. In Hebrew, Alma is ‘maiden’ (like Kore in Greek) – pertaining to the concealed, hidden, unknown (virginity) – and perhaps, as well to the word for eternity (Olam, in Hebrew spelled like Alma). Quite pertinently, in Lindsey Rosen’s moving postscript, Alma turns up in a mysterious way, perhaps synchronistically. 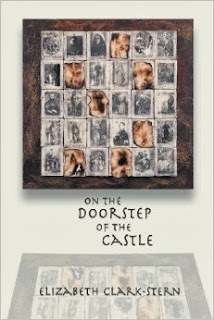 Elizabeth Clark-Stern says so profoundly that as we arrive at a new developmental stage in our lives, we find ourselves ‘On the Doorstep of the Castle.’ This book/play takes place right there, in our search for “the innermost castle” (p. 65). This is a meditative book – read it! Erel Shalit, author of Requiem: A Tale of Exile and Return.